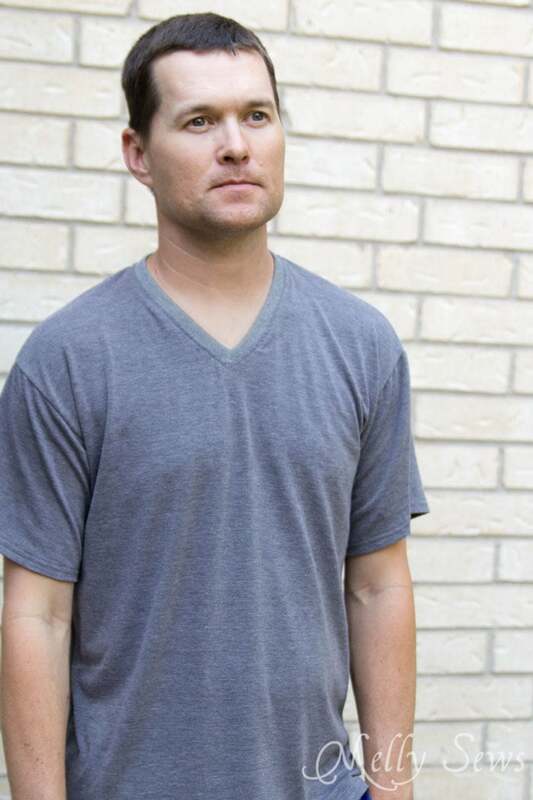 Hey y’all, today we’re revisiting one of my most viewed posts and most downloaded patterns – the Men’s V Neck Tshirt. 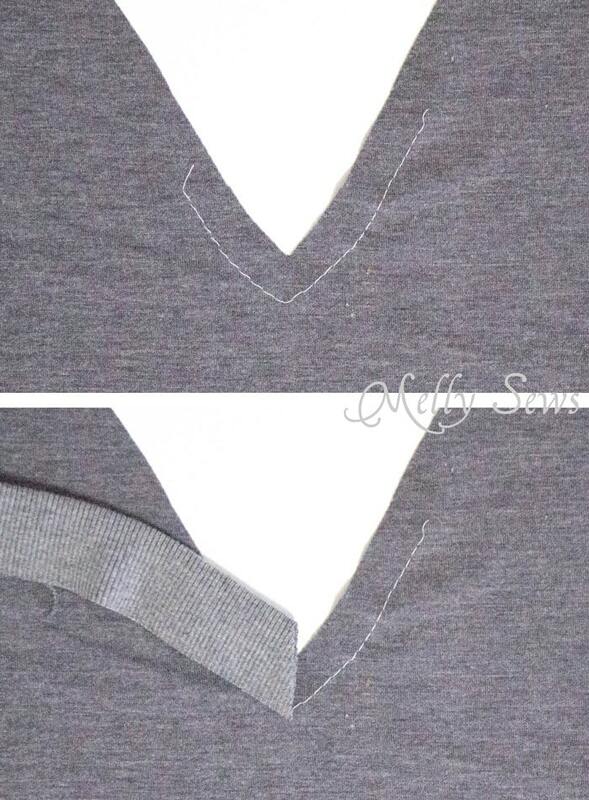 The V Neck is one of the options on my free Men’s T-shirt pattern, which is what I used to sew this one for the Coach. 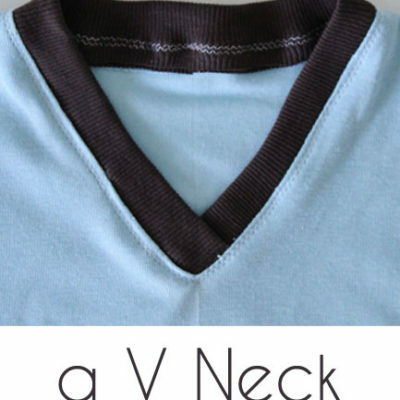 I’ve done a whole post on the overlapped style V neckband here, including a video, but sometimes you don’t want that type of neckband and want a sewn V that is flatter. So here’s how you do it. 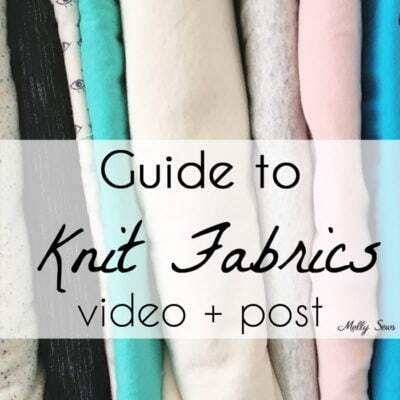 Just like the overlapped V, you want to stay stitch the V neckline with basting stitches on the seam allowance, then clip the point of the V to the stitching line. 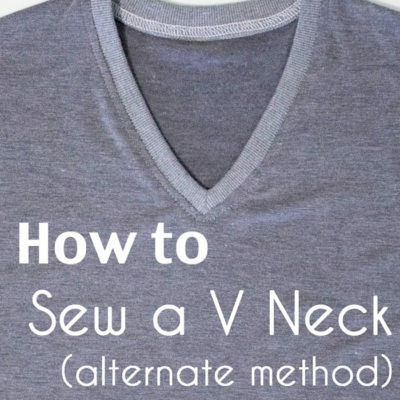 But instead of overlapping the neckband, fold it wrong sides together, press, then hold it next to the V of the shirt, raw edges of the neckband lined up with the angle of the neckline, and cut the band in a straight line up as shown above. Copy this angle on the other end of the neckband. 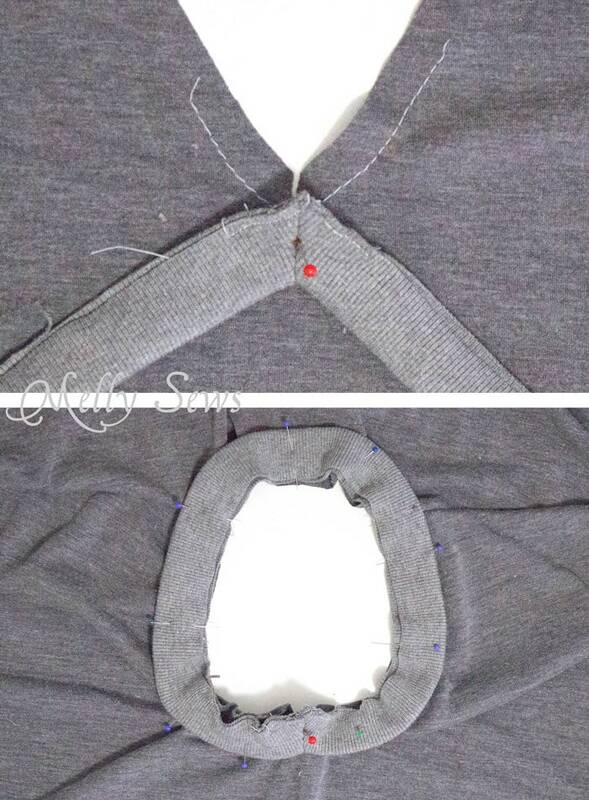 When you open up the neckband, the ends will look like the image below. 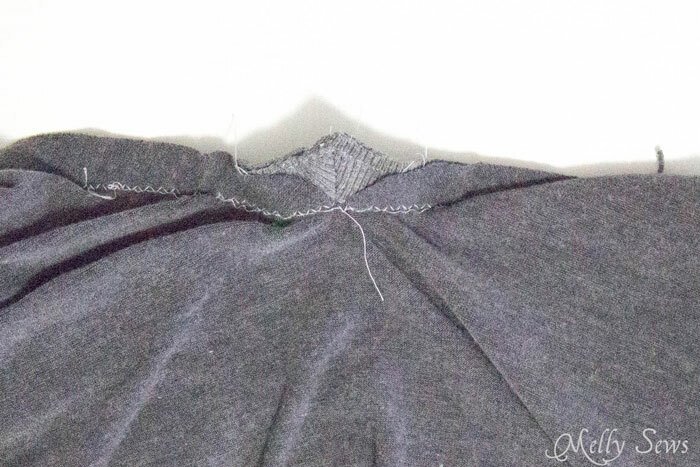 Put the short ends right sides together and stitch with a 1/4 inch seam. 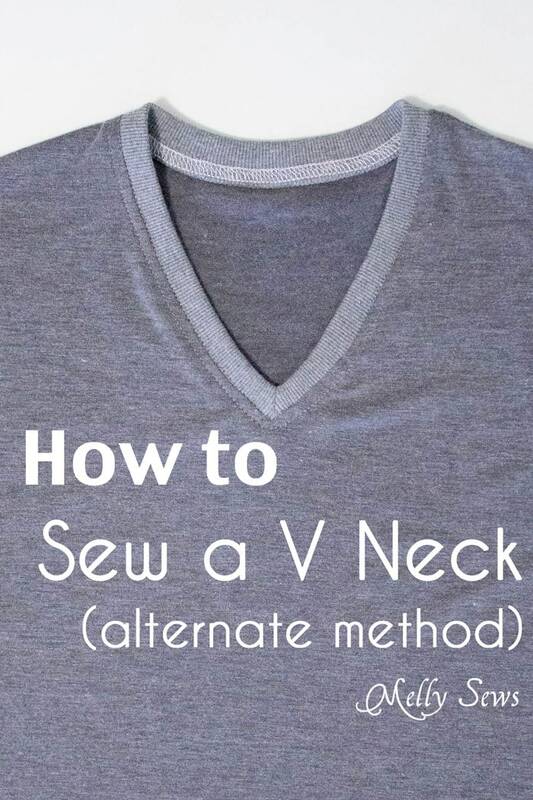 Clip into that point just like you did for the V of the neckline. Refold the neckband, pressing the seams open. 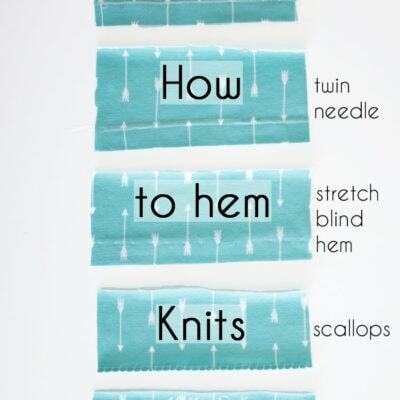 Baste the edges together, and also mark a dot on your seamline 1/2 inch up. 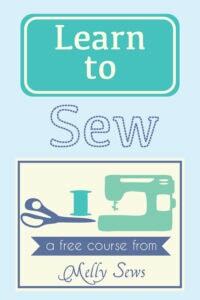 Using a pin, poke through the dot on the neckband and the point of the stay stitching on the shirt. 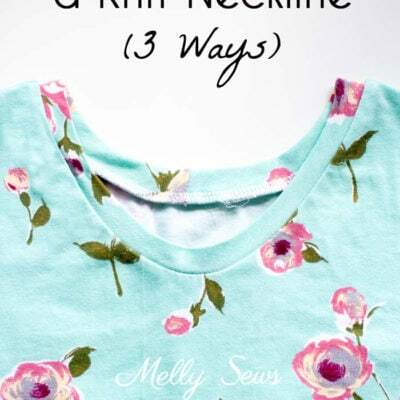 Use this pin to keep these two points aligned as you pin the rest of the neckband edges into place around the neckline. 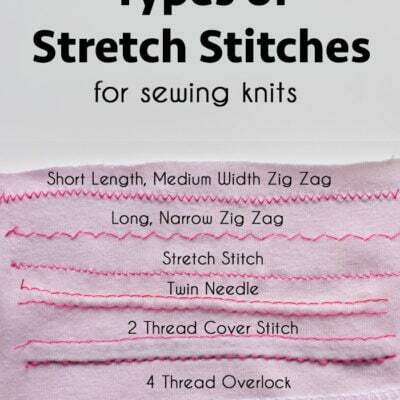 Start stitching at the dot on the V, using a stretch stitch, and sew all around until you get back to the same point. 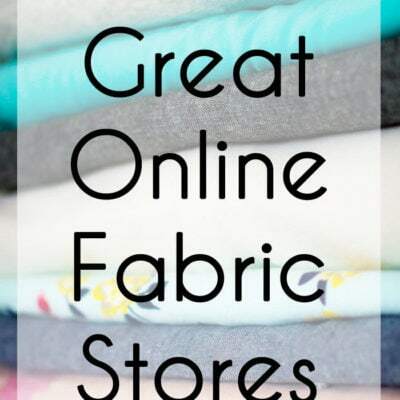 Stop and clip threads. 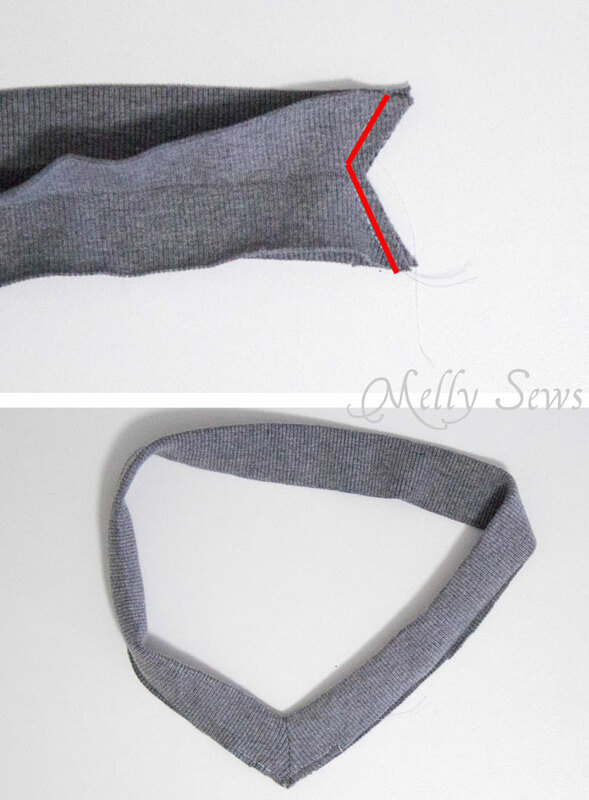 The back side of the neckband will look like the image below – I prefer to stitch with regular thread and check for accuracy before serging around the whole neckline. 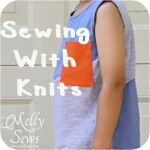 It’s also a good idea to finish off by topstitching the neckline down; I used my cover stitch machine, but a twin needle or even a narrow zig zag stitch will also work. 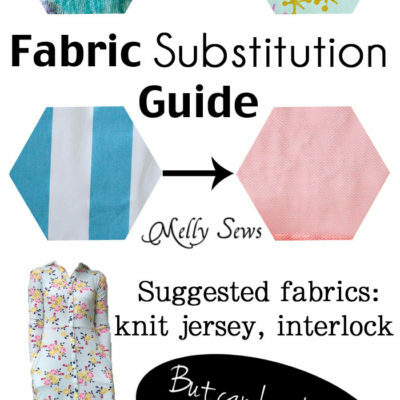 And continue sewing the rest of the shirt according to the Men’s T-shirt tutorial. 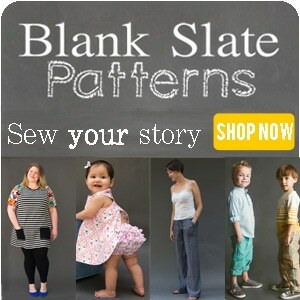 Thank you, really thank you! WOW so helpful! I’ve been avoiding v-neck tee shirts because I hadn’t seen a finish I really like but I like this one a lot! 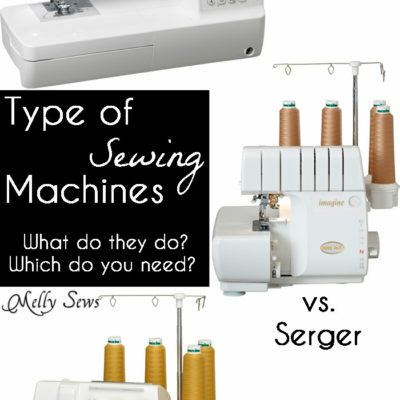 I have a coverstitch machine (just bought one a month ago) so you’ve given me even more inspiration to give this method a try. Thank you!